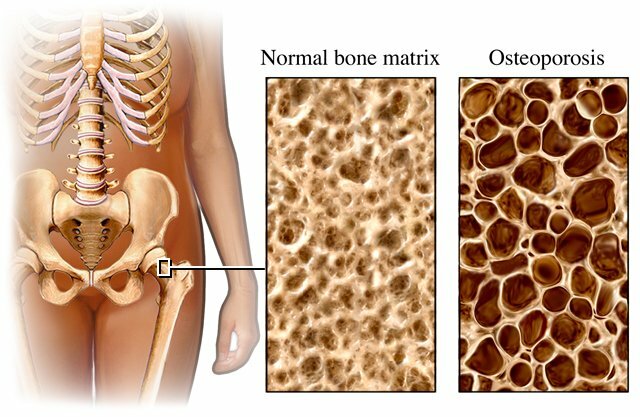 Osteoporosis refers to a l oss of bone mass in which the bones become porous and fragile. The body is constantly building up and breaking down bone tissue; that's normal. 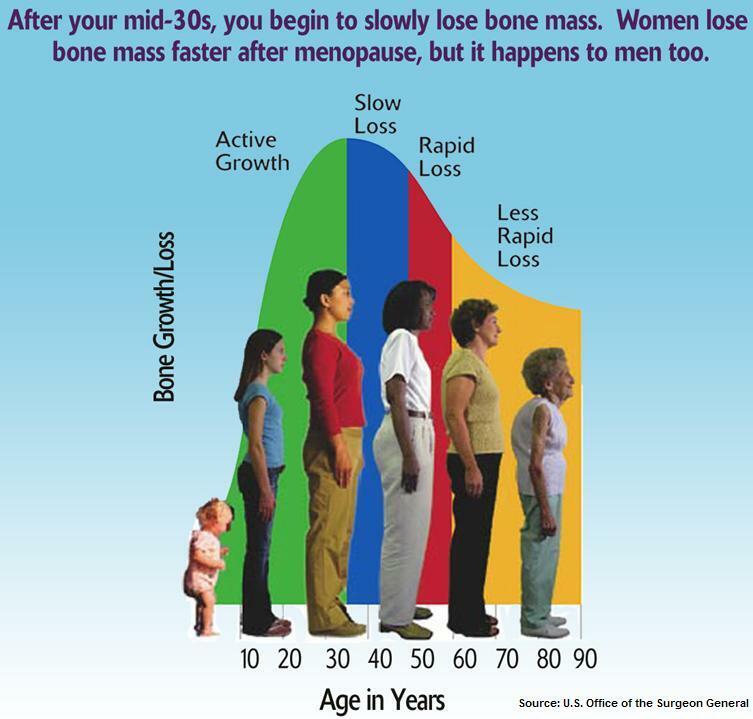 Bone density (the degree of mineralization of the bone matrix) usually increases until about the age of 30. But after that, trouble can begin. Osteoporosis sets in when more bone is lost than can be rebuilt. Eventually, bones become brittle and easily fractured. Click here for video, "Spinal Compression Fracture".